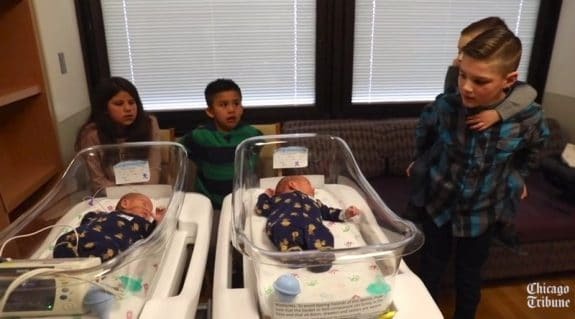 Home » Chicago Mom Welcomes Triplets 6 Years After Having Twins! Motherhood has been a steady climb for Teri Nobles who welcomed a son, Logan, 10 years ago and identical twins three years after that. 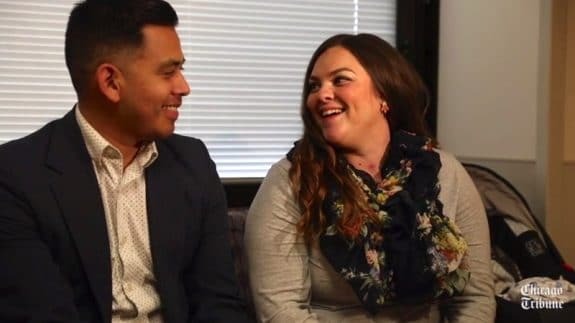 Now she is about to tackle her biggest challenge yet after giving birth to triplets! An ultrasound tech delivered the exciting news to Teri during her routine appointment when she found 3 sacs. 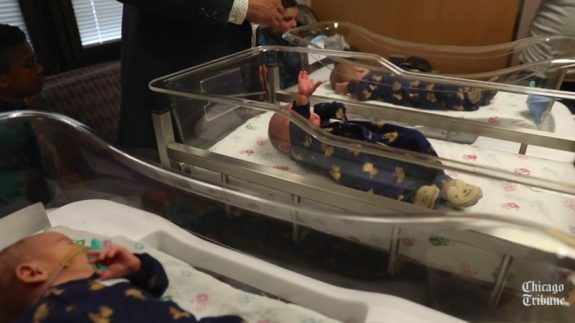 Born on March 8th, the babies only arrived 3½ weeks prematurely. Two of the twins are identical and shared a placenta. One of the babies, however, stopped growing in the womb which prompted all three to be delivered by c-section. 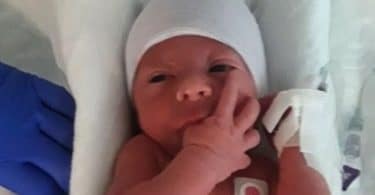 Oddly, Santino who was born the smallest of the three, at just 3 pounds 7 ounces was the first one to go home. Andres, his identical twin was to be released on Good Friday and Vincent, their fraternal triplet, is set to go home early this week. The boys will have a large crew to welcome them home. In addition to Logan and Marcel, the babies’ father, Mario Aguirre, has two children from a previous relationship, Brooklyn, and Mateo. Sadly, Marcel’s identical twin brother, Victor, passed away at birth. Marcel can identify each of his new brothers and keeps asking Mom when they will come home and if he can hold them. His help will likely be welcome but there is also family close by who have volunteered to assist as well. Teri has clothes from Marcel and a closet full of diapers for the newborns that she hopes that longer than a week. Because the family doesn’t know anyone who has had triplets they really will just have to make it up as she goes.